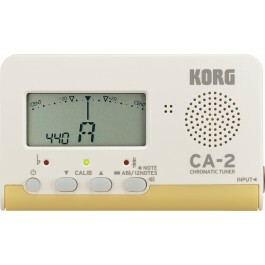 The Korg CA-40WD Chromatic Tuner is ideal for use with guitar alternative tunings, brass band or orchestra. 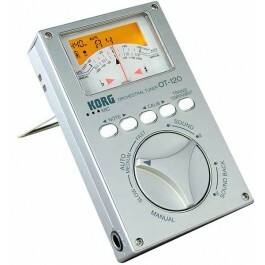 Larger and more easily readable high-precision LCD needle-style meter. Wide detection range from A0 to C8. Calibration function that accommodates a variety of concert pitches. 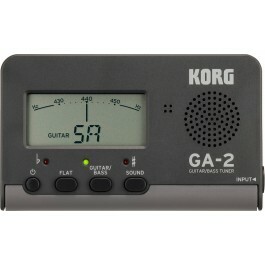 Sound Out function that lets you produce a reference tone from the internal speaker. 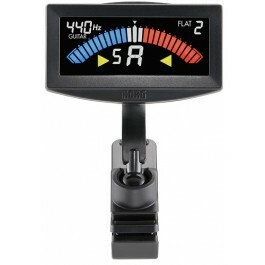 The tuner will remember the pitch you select. Auto Power Off function saves the battery even if you forget to turn off the tuner. Approximately 85 hours of continuous use. 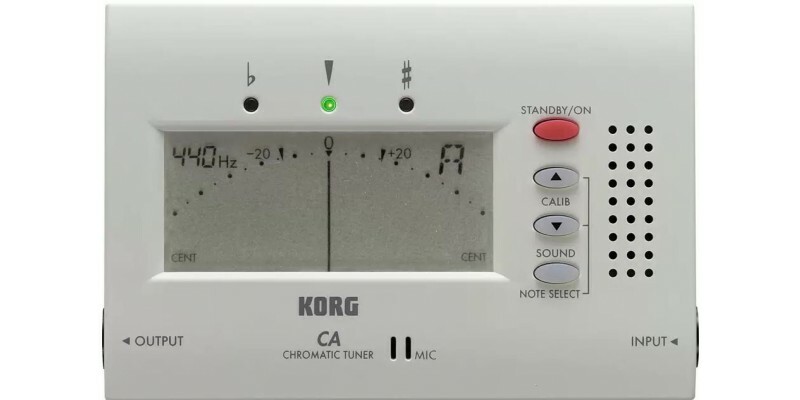 With a wide range that covers A0 (27.50 Hz) to C8 (4186.01Hz), you can tune a variety of instruments with the CA-40, including wind, string, and keyboard instruments. The pitch and range are detected quickly and accurately. You can use the built-in high-sensitivity microphone to detect the pitch of an acoustic instrument without requiring any other equipment. 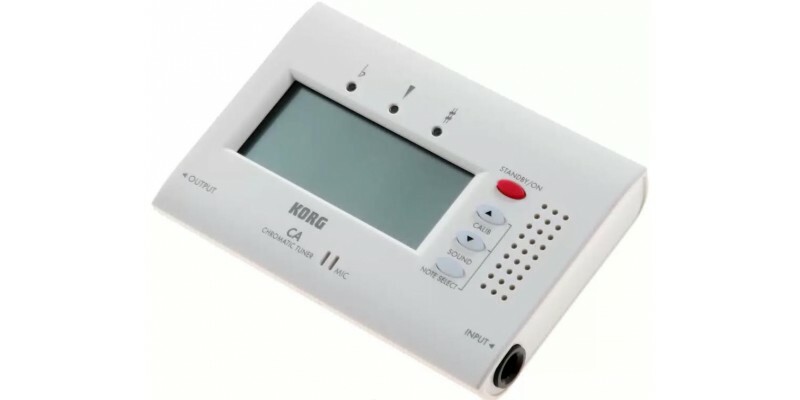 Alternatively, you can use the separately sold CM-100 contact microphone to send the vibration of the instrument directly to the tuner, so that you can tune accurately without worrying about other sounds in the environment. An output jack (bypass) has been added, making it easy to check the tuning even while you perform.